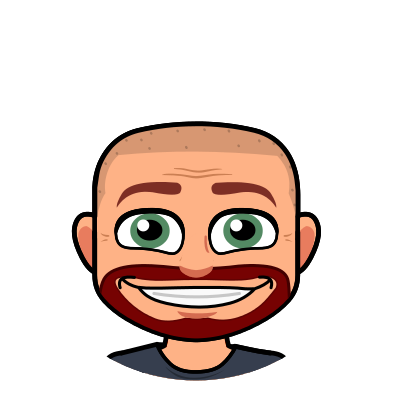 If you are lucky enough to have multiple iPads in your classroom, automatic downloads can make adding apps a bit easier. You can access this function through Settings>iTunes & App Stores. If you are logged into the same account on each iPad, any app you download on one of the iPads will automatically be downloaded to the others as long as automatic downloads is turned on. You must turn on this option for each device individually. 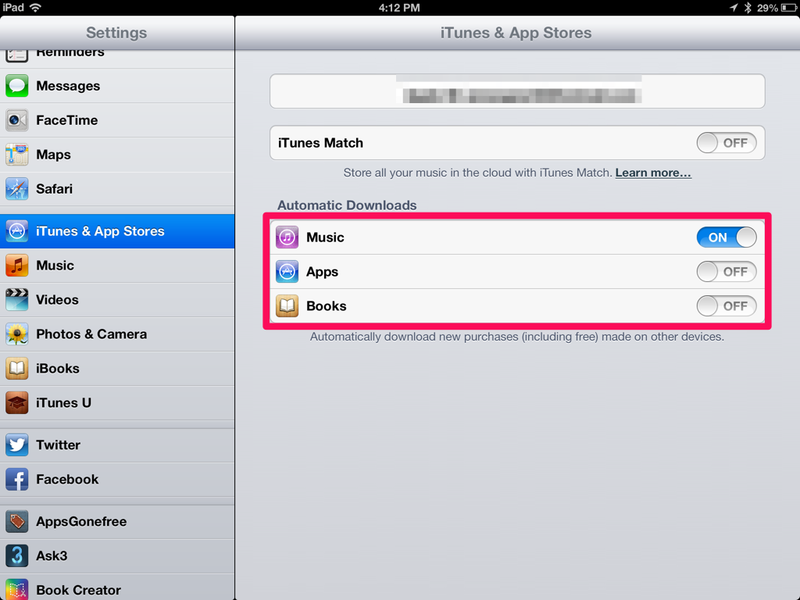 Notice that there are options to turn automatic downloads on for apps, music, and books. These are great options for your personal devices as well. Students can get confused as to which iPad they are using each day. If they are creating a product it may take multiple days to complete. Set your Locked Screen and Home Screen with an image that lets them easily recognize which iPad they are using. 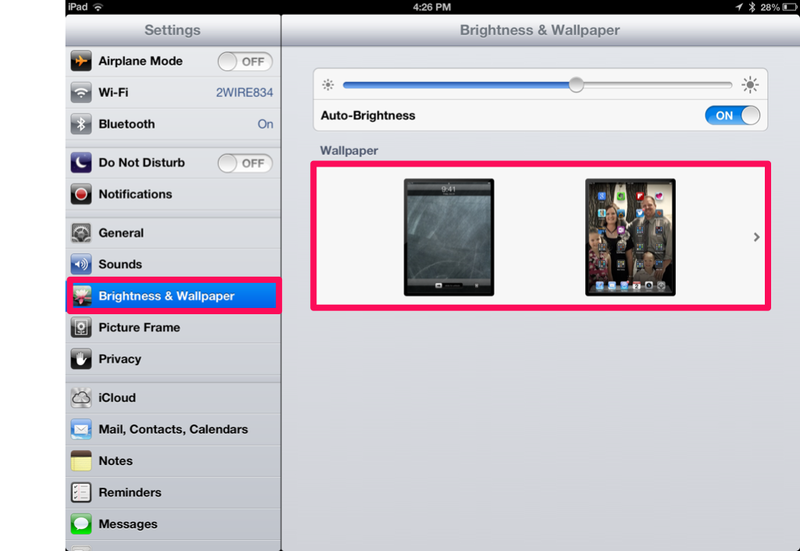 You can access this option through Settings>Brightness & Wallpaper. 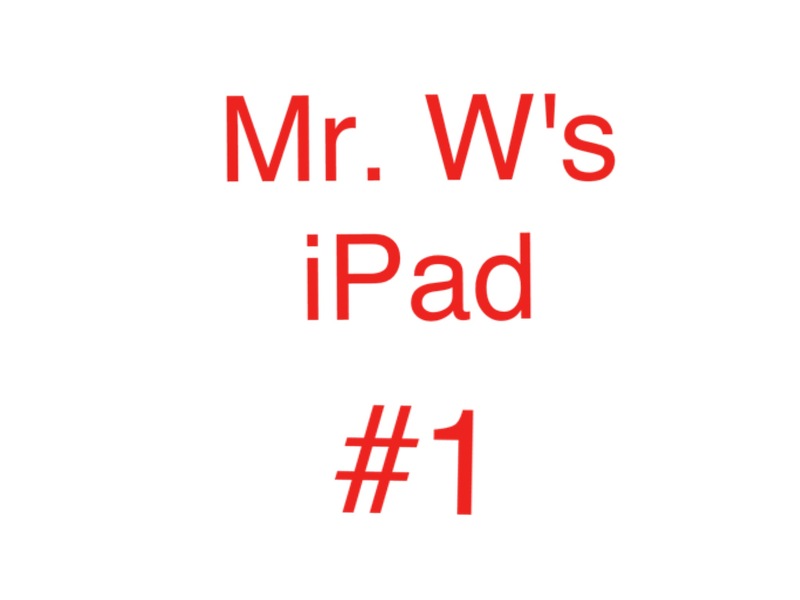 Create an image that names the iPad and/or assigns it a number. A simple way to do this is to use a drawing app on the device and then save that drawing to the camera roll. 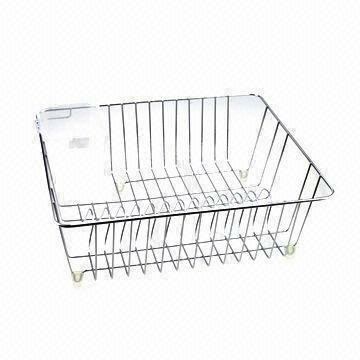 If you are looking for an in expensive way to store iPads and set them up for charging, consider purchasing a dish rack. The iPads can set in the rack, lined up right next to each other. It keeps them separated and makes it easier to plug in the cords. Charging the iPads can be a pain. I have found it best to purchase a power strip to charge multiple iPads at a time. 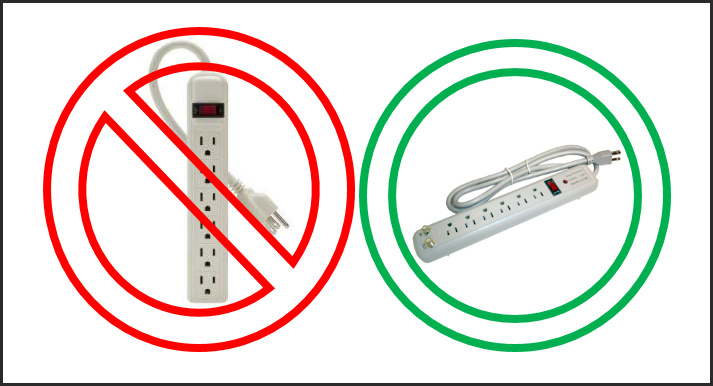 Be careful that the power strip you purchase has its outlets running perpendicular to the length of the strip. This allows you to use each plug in the power strip. If the plugs run parallel with the strip you cannot use them all because the power cord for the iPad is too big. It will cover some of the outlets.